With three more days remaining before the return of writs in the National Election, major political parties remain confident they will have the numbers to form government. And independents are also maintaining their status quo in the race with eight declared seats. The independents are likely to field a total 13 in the race by Friday. About 66 seats have been declared by 8pm last night with 45 more to be completed. The ruling People’s National Congress Party has maintained its standing with 21 seats declared and is the only one so far with seats declared in all four regions – seven in the Highlands, seven in the Southern region, four in the New Guinea Islands and three in Momase region. PNC’s estimates are still on track with 90 per cent confidence in winning at least 20 more seats by Friday despite losing a few yesterday. PNC may track between 35 and 40 seats by end of this week. National Alliance is climbing slowly at second place with 11 declared so far – five in the Momase region, four in the New Guinea Islands, two in the Southern region but none in the Highlands region. The party is tracking close to 100 per cent and likely to win seats in West Sepik Regional, East Sepik Regional, Madang Regional, Bogia Open, Sumkar Open, Usino-Bundi Open, Middle Ramu Open and Kairuku-Hiri Open. They are tracking above 75 per cent in other seats. They may have 19 seats by Friday. Pangu Party has seven seats declared so far – six in the Momase region and one in Southern but none in the New Guinea Islands and the Highlands region. However, they are expecting at least three more seats by Friday. The People’s Progress Party has come on strongly in the race with four seats declared – three in the New Guinea Islands and one in the Momase but none in the Highlands and Southern regions. They are expecting three more seats in the Highlands and Momase. 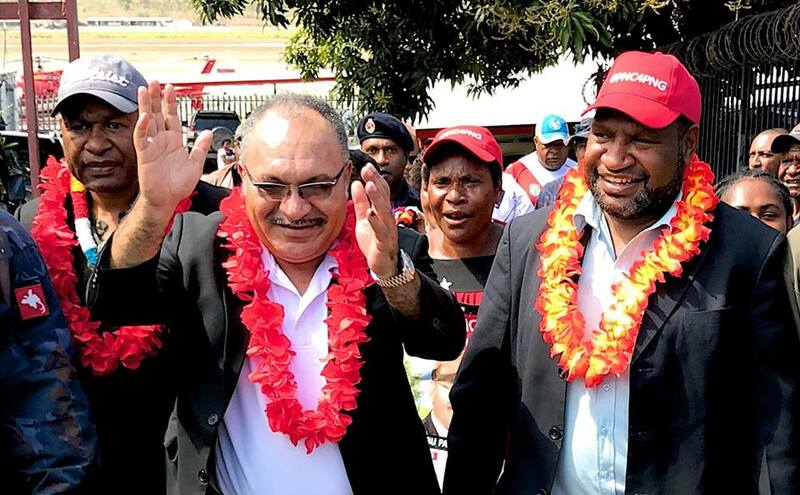 It also predicted that the PNG National Party will have about three seats, PNG Party at least four, URP is expecting seven seats, SDP will have about four seats, while all other smaller parties are fielding one or two members in their respective electorates.